News Wahl received one or more of the products mentioned in the post below free for evaluation purposes, received compensation, and/or is an affiliate of one or more of the products, links and banners you will see on this site. Regardless, all opinions expressed are still 100% genuine. This is disclosed in accordance with the FTC 16 CFR, Part 255 Guides concerning the use of endorsements and testimonials in advertising. Thanks for reading Natalie. 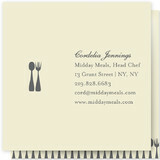 Minted is a fancy and fun new site that I have just discovered and would like to share. They offer everything from business cards to Christmas cards, and their wedding invitations are divine. 🙂 What I love about their designs is that they feature small designers, have inspiration boards and offer unique looks that are more my style than most pre-printed cards. I like to think of myself as an artist, and would love to make my cards by hand, but their unique and very cute designs totally save me from hours of labor. One of my favorite inspiration boards is their “Peace” board. I love the traditional colors and designs. I would love to someday live in a location where we could have an actual white Christmas, and pick up evergreen boughs from the local mountains or even neighborhood to decorate and add fragrance to our home. I love this one and would love a bunch to hand out when in public. I have an autistic son, and one of my favorite melt-down ideas was having cards to hand out to all those well-meaning, or judging well-wishers that stare at us. It would be so easy to hand them a card saying, “You have just witnessed an autism moment. This is not rare or unusual, we are handling it. If you would like to help, learn more about autism here, and support our efforts as parents to socialize our child so he can go out in public. Thank You!” It was an idea I got from another autism mom, and one that I have thought about a lot since then. I like to be busy and doing. 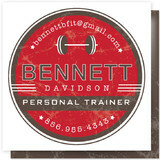 I am working on becoming a personal trainer. I am a licensed health coach. I have a background in tutoring and teaching, and I teach piano and violin. As you can see, there are unique designs for every profession and non-profession. 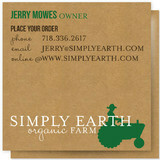 I can’t wait to order my cards, and will have to order more than one set to fit my eclectic lifestyle. Please check them out at http://www.minted.com and order your Christmas cards now, you can never get those too early, or get new and inspirational business cards that are fun to hand out, and like them on facebook. I love the designs, and the fun. I love paper and all things paper crafting in general, and when you find a great site, with dedicated designers and quality materials, you keep their information handy. You never know when inspiration will strike. For all you designers out there, they have competitions for new designs, so keep in touch and maybe I’ll be buying your card design next.